The eternal struggle over the embattled Christmas holiday continues. 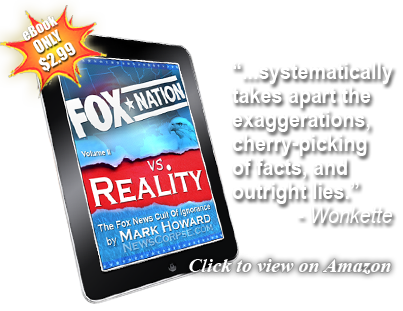 At least on Fox News where it originated and prospers. And as the alleged birthday of Christ approaches, the “Curvy Couch” potatoes of Fox and Friends take up their battle stations to fight once more against the forces of evil who want to destroy Christmas. Hegseth: This Christmas season deck the halls with Hillary Clinton. A Christmas tree topper, complete with angel wings, is turning heads online, and on this couch in my brain this morning. Earhardt: Here with a response, blowing up social media, is Fox News Headlines 24/7 reporter Carly Shimlus. For those unfamiliar with “Jack,” Fox News just featured a tweet by a notorious alt-right, white nationalist. Why they picked him out the all the possible Twitter commenters on this subject is obvious. Just like their Messiah, Donald Trump, they have a deeply held affinity for overt racists. Back to the segment. The Fox News Klan were clearly disturbed by what they called the “politically charged” Christmas tree ornament. But there are a couple of big problems with that reaction. First of all, the ornament was not made or sold by Hillary Clinton or anyone associated with her in any way. Secondly, If politicizing Christmas is so offensive, why don’t they ever complain when Trump does it? After all, he incessantly yowls about “bringing Christmas back” in a transparent attempt to exploit it as a political cudgel. Christmas, of course, has never been away. But that, like all other facts, is irrelevant to Trump and his glassy-eyed disciples. The only use Trump has for Christmas is as a means of firing up the goofballs who go to his rallies and for distracting the media from his myriad scandals. 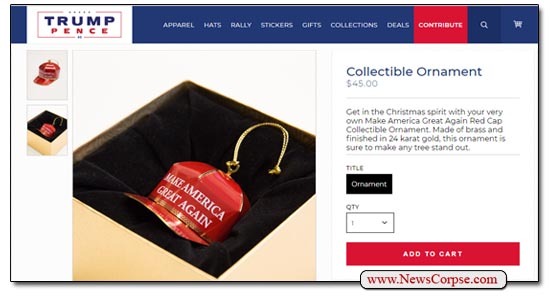 The MAGA Christmas tree ornament is now selling for $45.00. That’s a substantial discount from the original price advertised in a Trump campaign donation email last year, when it cost donors $149.00. Apparently it wasn’t exactly flying off the shelves. This is another example of Fox News going into hysterics over something pitifully lame and entirely meaningless. 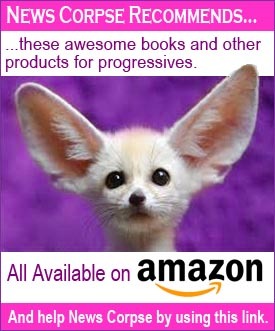 And in the process they lash out at their standard enemies (Clinton, Obama, Soros, Pelosi, etc. ), while ignoring the far more offensive activities of their Dear Leader Donald Trump, who can do no wrong. It may seem like trivial fluff given the abundance of important issues that currently face our nation: Middle East turmoil, North Korea, terrorism, tax reform, climate change, sexual abuse, natural disasters, etc. And let’s not forget Trump’s treasonous connections to Russia and the special counsel investigating him. But that’s the point. 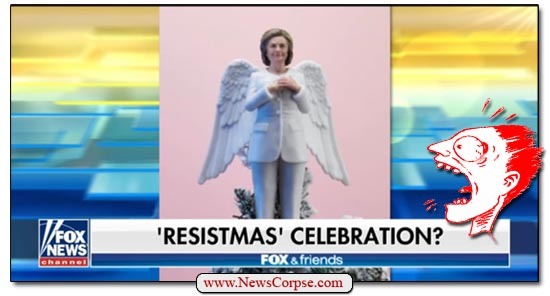 Fox News is using this to divert the attention of their viewers from those matters to petty concerns like Christmas tree ornaments. And what’s really sad is that they do it so very badly, but their audience is too stupid to notice. What is this national sickness that we can’t enjoy the holidays because of the yearly war on Christmas? These trump people’s mere existence is an insult to the true ideals of Jesus! I wonder if they’ve ever heard what he actually taught. Such as be in the world but not part of it, meaning the greed, hypocrisy and lies.Oh, and hate,and revenge, and not caring for the poor and needy! I could go on,but they want no part of the true Jesus, beloved to the righteous.